Mike Kaviani is now the director of Orange County Animal Care. He began working with shelter animals at the Irvine Animal Care Center in California when he was 18. His “3rd Chance for Pets Program” received national recognition when IACC was given the 2007 Shelter of the Year award primarily due to this program. 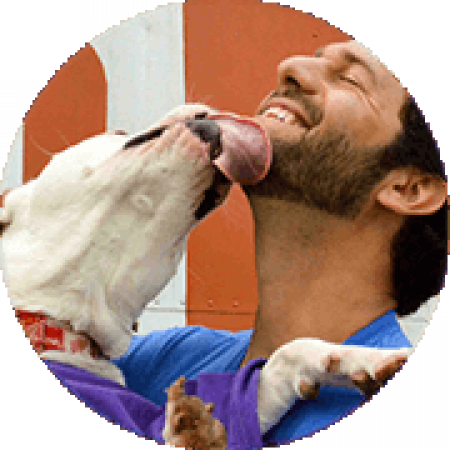 In 2010, Mike became the Director of Training and Behavior at the Southampton Animal Shelter Foundation. At SASF, he worked under the guidance of Aimee Sadler, and together their work resulted in the shelter consistently reaching one of the highest save rates in the country. Mike has been a Dogs Playing for Life Team Member and part of the program’s development throughout his work with Aimee. In the Spring of 2012, Mike joined forces with Dr. Ellen Jefferson and became the Dog Behavior Program Manager for Austin Pets Alive!. APA! had already achieved a 90 percent save rate for the entire city of Austin, and Mike’s focus was to save the last 10 percent, which primarily comprises large dogs with behavior issues. The city’s current canine save rate now holds steady at 98 percent. Mike moved up to Director of Lifesaving Operations at Austin Pets Alive! (APA) and led the organization’s shelter staff, working alongside hundreds of volunteers, in planning and carrying out all of APA!’s programs for cats and dogs. Participants will learn about cutting edge ways to solve non-shelter created behavior problems in shelter dogs. Participants will be able to identify tools to use to combat the pressure to kill in crisis situations. Learn solutions for the top five reasons dogs are dying in shelters.